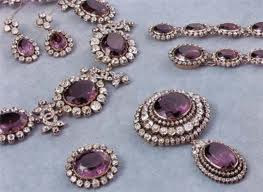 Amethysts are well represented in the royal families of Europe; with hues ranging from light purple to deep, vibrant purple. 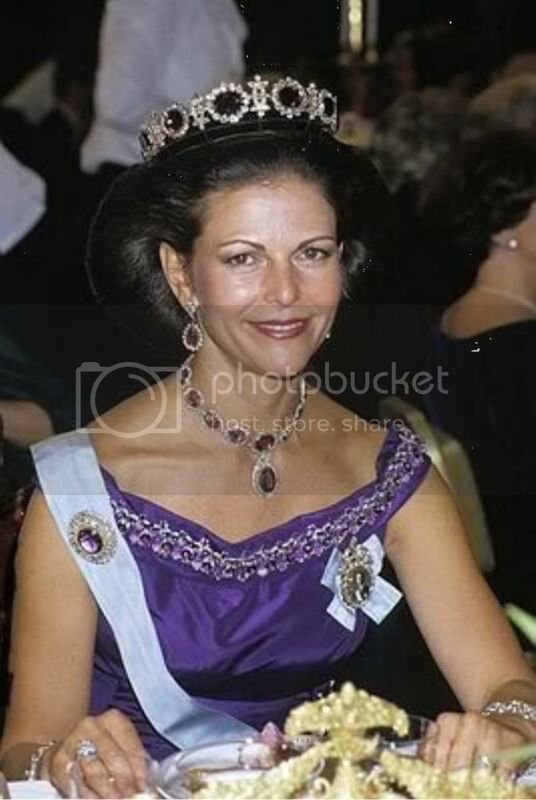 The most magnificent set of amethysts, at least according to this humble author, belongs to the Swedish royal family. The amethysts, which are part of the Bernadotte Family Foundation, date to the first French Empire. They were originally the property of the Empress Josephine, who in turn gave them to Princess Augusta Amalia of Bavaria when she married Josephine’s son, Eugene de Beauharnais, Duke of Leuchtenberg. heir daughter Josephine of Leuchtenberg married Crown Prince Oscar of Sweden, later becoming Queen of Sweden. 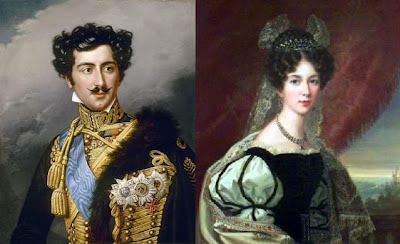 Incidentally, Oscar was the son of King Charles XIV John of Sweden and his wife Désirée, who was originally engaged to Napoleon Bonaparte; she had broken it off upon meeting the man she would eventually marry, becoming the Queen Consort of Sweden and Norway.